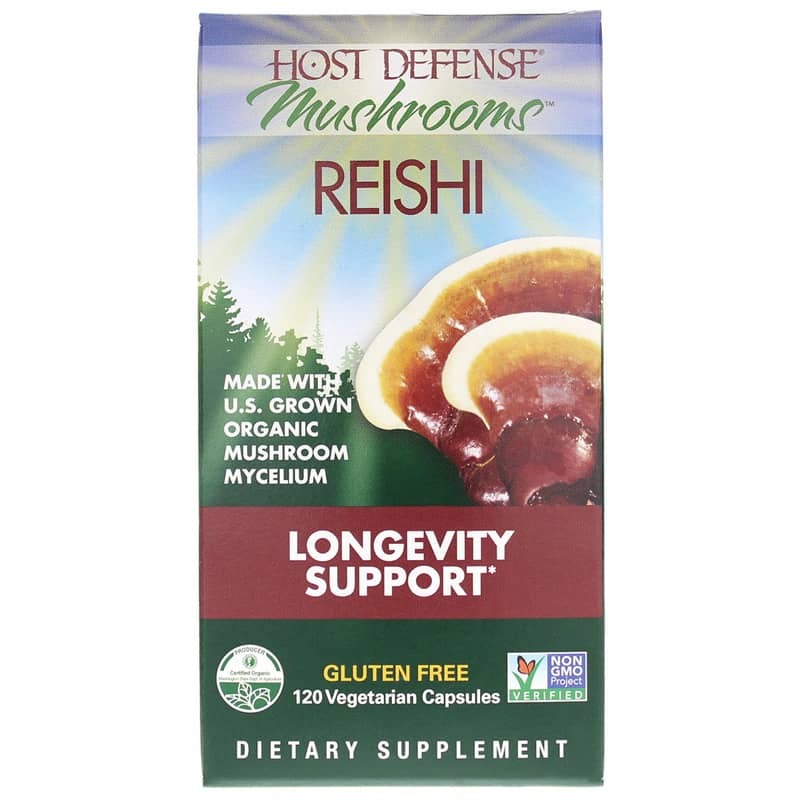 Host Defense Reishi capsules from Fungi Perfecti provide a dietary supplement using reishi mycelium well known as a tonic for supporting general wellness and vitality. Reishi (Ganoderma lucidum) mushrooms have also been called the Mushroom of Immortality due to their beneficial properties. Reishi mushrooms contain vitamin B12, vitamin C, volatile oils, amino acids and sugars. They can also boast of such minerals as iron, magnesium, zinc and selenium. In addition, they have plant sterols that inhibit the assimilation of cholesterol in the digestive system. Plant sterols have a similar appearance to cholesterol and can occupy space that would otherwise be taken up by bad cholesterol. In that way, plant sterols may reduce cholesterol levels. Reishi mushrooms may also boost the immune system through macrophage stimulation. Macrophages are cells that play an important part in fighting disease, including assisting in the regulation of the immune system response and scavenging for free radicals. 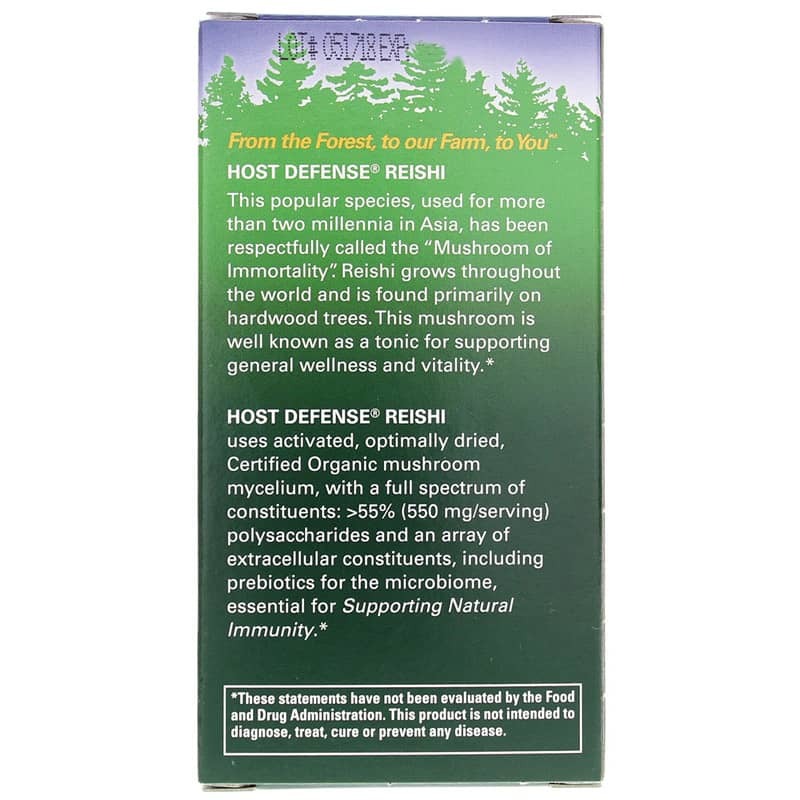 Host Defense Reishi provides general wellness support using US grown organic mushrooms. The Fungi Perfecti carefully manages the quality of each strain to guarantee its provenance and genetic vitality. 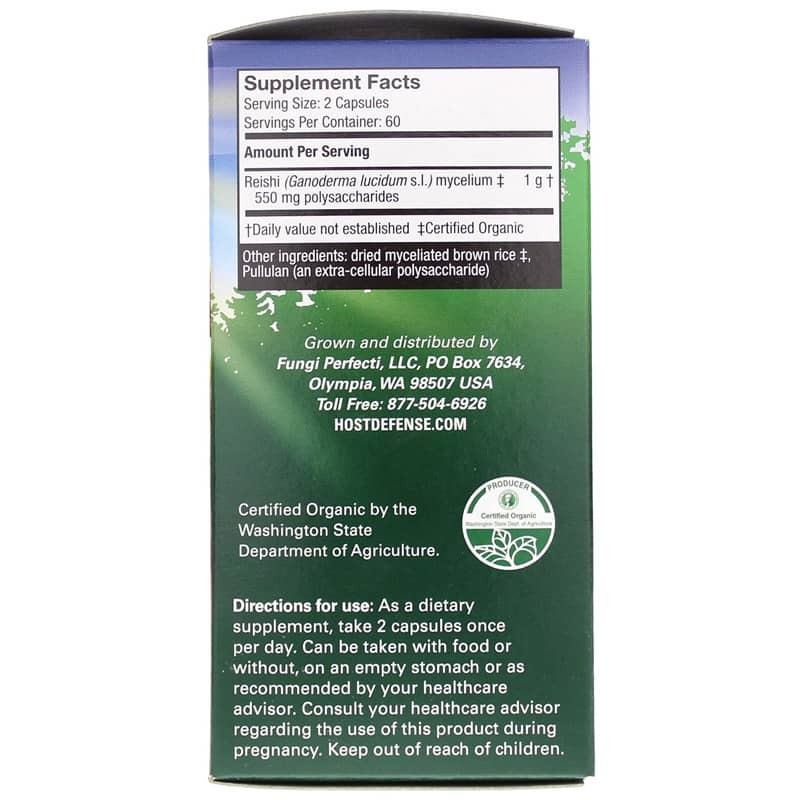 Each Host Defense Reishi capsule contains 500mg of freeze-dried organic reishi mycelium. Other Ingredients: freeze-dried myceliated brown rice*, Pullulan (an extra-cellular polysaccharide). 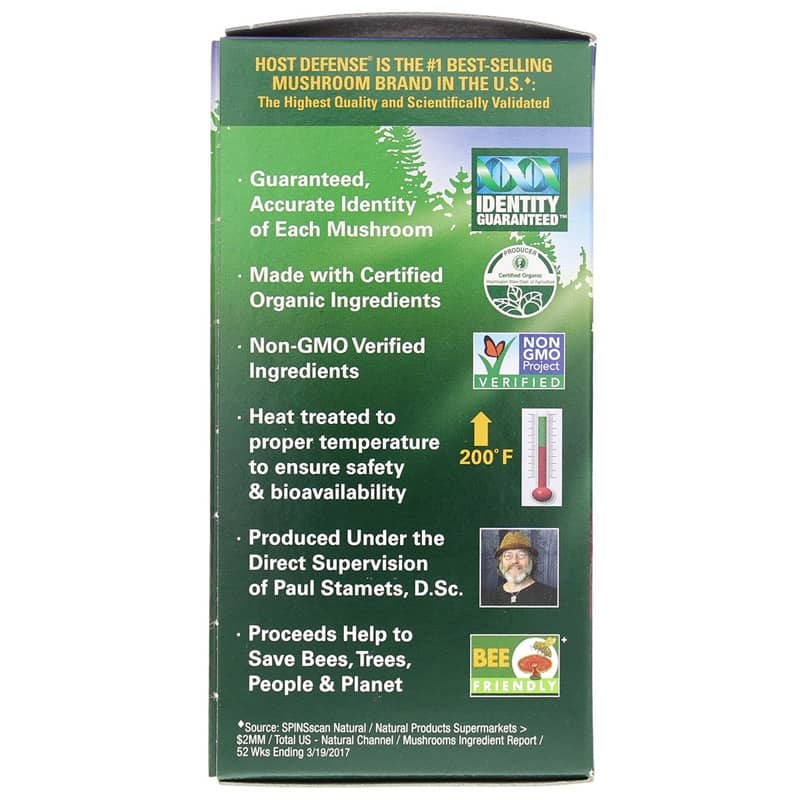 *Certified Organic by the Washington State of Agriculture. Non-GMO. Adults: As a dietary supplement, take 2 capsules once per day. Can be taken with food or without, on am empty stomach or as recommended by a healthcare professional.